2019 Championships hosted by Brixham Yacht club are shown on the menu to the right. Brixham Yacht Club offers the perfect venue for hosting special sailing events, such as Championships and Regattas for all types of vessel, whether yachts, dinghies or specific classes. Torbay provides a safe and expansive sailing arena in which to set challenging and interesting race courses, whilst the Club is ready to provide comprehensive support services with committee boat and RIBs afloat and catering and office facilities ashore. With Brixham being a popular holiday destination there are also ample local accommodation options. 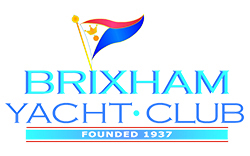 If you would like to consider Brixham Yacht Club as a host for your event please check our calendar for availability and contact the club using the details on the Contact Us page.